What is Conginetal Heart Disease? 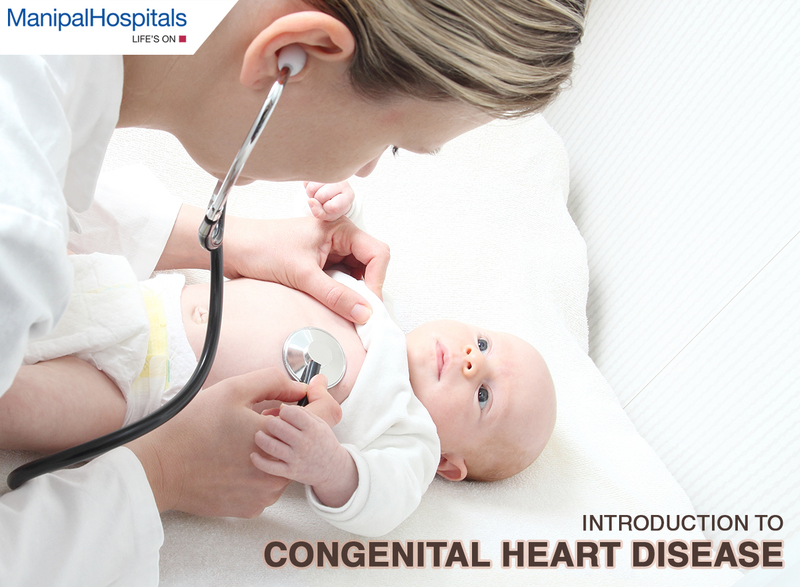 Congenital Heart Disease (CHD) is a structural abnormality of the heart, present at birth. The defect is present mostly in the blood vessels near the heart, thereby causing obstruction in the blood flow. Congenital Heart disease is of two types: Cyanotic (the skin becomes blue, due to the lack of oxygen) and Non Cyanotic. The exact cause for CHD is unidentifiable in most cases. Infection from Rubella virus along with retinoic acids and chemicals during pregnancy may be a factor for CHD. According to a study published in the India Academy of Pediatrics, CHD is a condition seen in every 3.9 births per 1000 births in India. The defects are generally caught immediately after birth, however in some cases it may be discovered later. Many things like Down’s syndrome, a mother suffering from conditions like diabetes, rubella, or using anti-seizure medication or anti acne medication along with genetic predisposition can cause CHD in a baby. Other factors like smoking and consuming alcohol while pregnant can also cause CHD in a baby. Diagnosis for CHD is based on the type and severity of the condition. Given below are few basic tests carried out to diagnose CHD. ECG (Electrocardiogram) is a simple, painless test that records the heart’s electrical activity. The test shows how fast the heart is beating and its rhythm (steady or irregular). An ECG also records the strength and timing of electrical signals as they pass through the heart. Pulse Oximetry: For this test, a small sensor is attached to a finger or toe (like an adhesive bandage). The sensor gives an estimate of how much oxygen is in the blood. Chest X-Ray: It is a painless test that creates pictures of the structures in the chest, such as the heart and lungs. This test can show whether the heart is enlarged. It also can show whether the lungs have extra blood flow or extra fluid, a sign of heart failure. Given below are a few preventive measures a pregnant woman can take to avoid CHD in a baby. Women undergoing pregnancy should avoid smoking, consuming alcohol and getting infections. Treatment options for CHD vary depending on the severity of the condition. Mentioned below are the treatment options for CHD in children. Open-heart surgery: There are two surgical procedures; one is a minimally invasive surgery which repairs the openings in the heart chambers through the ribs; whereas the chest is opened in an open-heart surgery. Both are major procedures and require a significant recovery time for a child. Heart transplant: Heart transplant is generally a last resort, only used when the above mentioned procedures are unsuccessful. In any cases a follow up for both adults and children is compulsory after being treated for CHD.